Having a family member who is suffering from dementia in the form of Alzheimer’s or Parkinson’s disease is tough. Not only do you have to deal with watching a loved one slowly slip into decline, you also have to take care of them, ensuring that they don’t get hurt, or hurt themselves. At Best In Home Care LLC in Lubbock, Texas, we understand just how tough dementia can be on a family. Below we have listed a couple of tips and tricks that might make simple daily tasks easier and more effective. When taking care of someone who is suffering from a form of dementia, it is important to remember that even the simplest task can become frustrating for them as they realize that they can no longer help themselves. To avoid causing frustration, schedule activities wisely, leaving plenty of time between activities in case something takes extra time. Additionally, provide them with options so that, even though you made a well-calculated decision of where they can go, they still feel as if they are making positive choices for themselves. While it is inevitable that someone with dementia will eventually need extensive assistance, it is important to be flexible in terms of what they want while giving them at home care. As a home care service provider, it is important to let them do what they want (within reason) to avoid causing them to become frustrated. If you are a caregiver providing in-home care and the person living with dementia wants the same dinner every night, let them have it, as it will make them more content while also avoiding frustrations. One of the first things that a home health company like ours will do when providing our home care services is to remove hazards from the premises. Cords, large rugs, and other floor obstructions should be removed to prevent the hazard of tripping, and handrails should be installed to aid the affected person’s movement. Depending on the severity of dementia, a home health agency might also suggest utilizing locks to ensure that the patient does not wander off. Removing hazards from the premises will drastically increase the safety of the person living with dementia. When people finally realize that they need help taking care of their elderly family members, they often ask themselves, “How did it come to this?” in disbelief that they need assistance. At Best In-Home Care LLC, we are here to tell you that it is not your inability to take care of your elderly family member that resulted in you having to seek help elsewhere. In fact, 52 percent of Americans need some form of in-home assistive care by the time that they are 65 years old. Rather than beating yourself up about it, pick up the phone and give us a call. 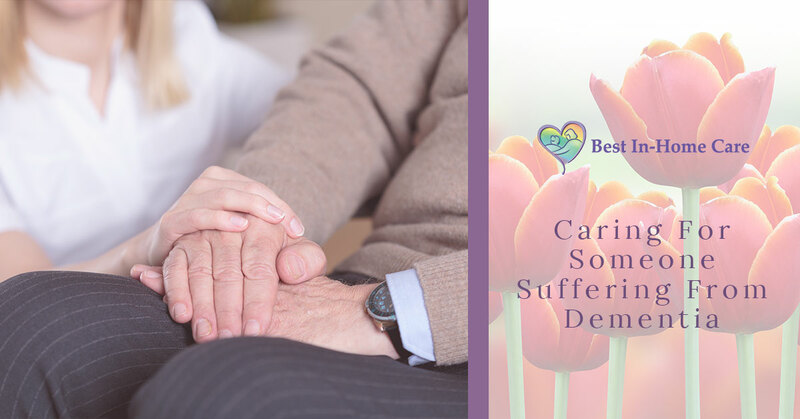 At Best In-Home Care LLC we offer both in-home elder care services and respite care with the goal to alleviate your workload, as well as to ensure that your elderly family member receives the best care possible. If you are looking for home care in Lubbock, look no further than Best In-Home Care LLC. Our caregivers are well-versed in-home care assistance and would be a wonderful asset to you. Contact us today to discuss our services or to request an assessment.